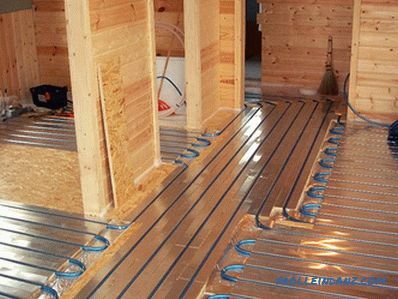 It is difficult to imagine a house, apartment or any company without a heating system. Nowadays, water heating is practically everywhere, but in order for such a system to function normally, serve for a long time and without fail, it must be periodically maintained. 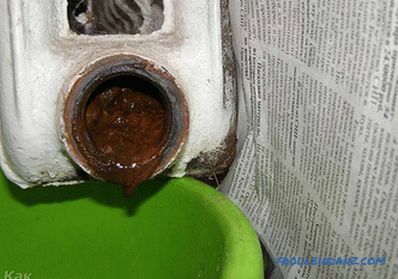 Since the water in the system has different impurities, the pipes can become dirty and rust. 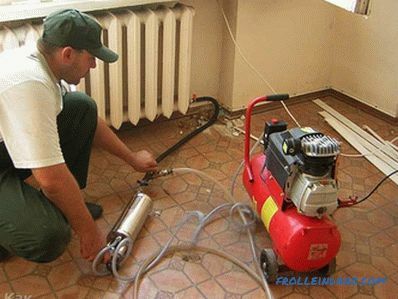 To avoid problems later, we need flushing and pressure testing of the heating system. What is it and how is it performed? 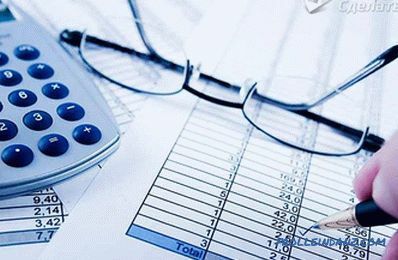 Consider more in the article. During operation on pipe walls scaling and other deposits are collected. This leads to a number of problems. First, the pipes wear out faster and become unusable. Secondly, because of the thick layer of the pipe, the pipes heat up longer, and the heat output is significantly reduced. 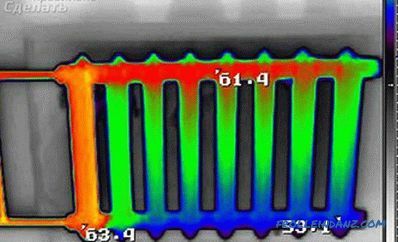 These are negative factors, since, according to experts, only 1 mm of scale can reduce heat transfer by 15%. This is not surprising, since scale has a conductivity of heat about 40 times less than metals. And if the layer is 3 mm or even 5? 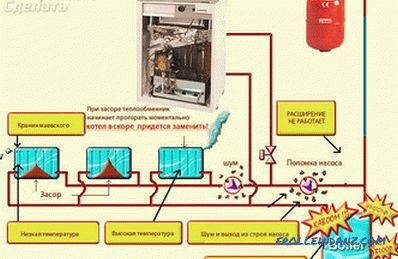 In this case, the efficiency of the system is low, and you do not get the proper heat. In this case, you pay for the heat a lot, but it is still cold in the house or apartment. Scale can also damage metal, which can lead to pipe rupture. Moreover, the deposits make the diameter of the pipes through passage less than 2 times, which reduces the rate of fluid circulation. Washing the system is necessary in order to achieve maximum heat saving and homeowner funds. It is important to understand that pipes clogged with sediments and scale can cause accidents, which in turn can lead to dire consequences. Such flushing of the pipeline and radiators should be done every few years. Ideally, this work should be provided to professionals who are trained and can no problem flushing the system. First you need to diagnose the entire heating system. These data will help the specialist to see the full picture, to find out the composition and nature of scale and deposits in the pipes. Then he can pick up the right equipment. After the flushing process, the pipe walls will be treated with an anticorrosive agent. Due to this scale and deposits will not appear for some time. installation of a new boiler in an old heating system. If you notice 1 or more of these signs, you should take action. Otherwise, you will “throw away” money to the wind and can allow an emergency situation. After all, if the pipe breaks, it will be very unpleasant. The whole technology of the filling method is that compressed air is supplied to the heating pipes, which are filled with water. Due to the shock wave, the rate of passage of water increases, and all deposits on the walls are washed out and removed from the system. Contaminated coolant is discharged through the drain valve. This procedure must be performed several times. This is similar to how to blow a pipe for drinks from the foam with the help of the mouth. This method is effective, but it is unlikely to succeed in its full implementation on its own. To perform a hydropneumatic flush, it is necessary to embed the connections with taps and non-return valves. If the system is small, then air is supplied through nozzles that are already in the heating system. Next you need to reset all the water from the system. For this there are special cranes. If suddenly there are none, they need to be embedded in the return pipeline. Then the water is fed back into the system. Protection against independent switching on of the device. Built-in indicator of pressure and water flow. Then, thanks to compressed air, all the dirt is removed through the bleed pipe. The whole process must be repeated several times. The entire system must be filled with water. The air collector valve must be left open. After the system is full, the valve should be closed. Compressed air is supplied to the system through a valve. The discharge pipe opens successively. A mixture of air and water constantly enters the pipeline, passing through all heating devices, after which it merges. The whole process is done until clean water flows from the system. 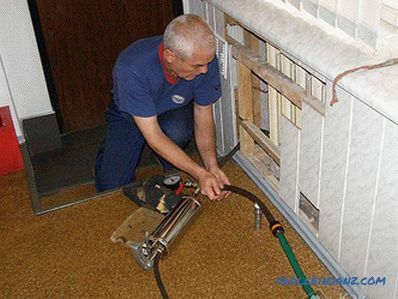 This way you can clean your heating system, making it much more productive and more durable. Washing in this manner is quite simple. Instead of the coolant, a special solution consisting of acid and alkali is pumped into the system. After that it is necessary to ensure the circulation of the solution for 2.5-3 hours. If this is not a natural circulation line, a pneumatic pump can provide it. After that, the liquid is drained and filled the system back with coolant. Such reagents are strictly forbidden to be drained into the sewage system, so you must purchase a neutralizer before purchasing a chemical mixture. When it is necessary to flush the system with natural circulation, the pipes of which are made of steel. When you need to restore the old heating system. Since during operation the pipes can become so clogged that the pneumatic pump will not cope with the task. 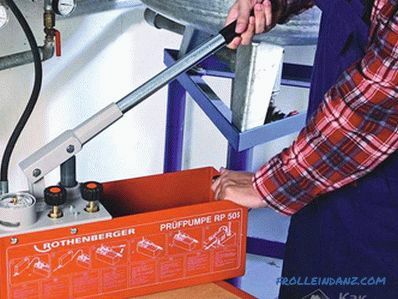 And if you use a pump with more power, there is no guarantee that the pipes will withstand such pressure. It happens that the pipes are very old, have signs of corrosion, defects and dents. In this case, there will be no point in washing, as the mixture will dissolve rust, and the pipes may start to leak. The only solution to this problem is the complete replacement of pipes. Simply put, This pressure test is a check of the heating system for leaks. It is done before the start of the heating season so that it does not end badly for you. This procedure cannot be ignored, as over time, leaks can form in the system, especially at the pipe joints. Moreover, if you had an emergency, the crimping should be done even in the midst of the heating season. The fact is that when installing a boiler, radiators or pipes, it is difficult to fully check the tightness of the connections. Therefore, crimping the system will help determine whether there will be leaks. The heating system is filled with water. At this stage there are two important nuances. First, in a private house, where there is one or two floors, it is not necessary to raise the pressure. 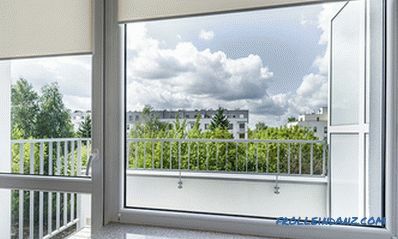 Secondly, if the work is carried out in the apartment of a multi-storey building, with the help of a press, the pressure must be raised to normal values. Now it is necessary to increase the pressure to a state close to critical, with the help of a special opressovochno pump or an ordinary pump responsible for the circulation of fluid. The system remains under pressure for about half an hour. During this time, a pressure gauge can show if the pressure has dropped. If the arrow has deflected, the pressure has dropped. In this case, somewhere in the pipeline system there is a leak of water. After the leak is found, all water must be drained. The next step is to make the leakage leaktight. After that, the system is refilled with water, and the process is repeated until the pressure is stable for 30 minutes. Pressure testing is an important part of preparing for the heating season. By neglecting them, you can harm both yourself and your family members. Washing and pressure testing are quite complex technological processes that are recommended to be trusted only to professionals .They have special equipment and experience that will help to do all the work quickly and efficiently. But if you decide to do everything yourself, well study all the details and prepare for the work. Thanks to this, you can save money on heating and protect yourself and others from emergency situations.